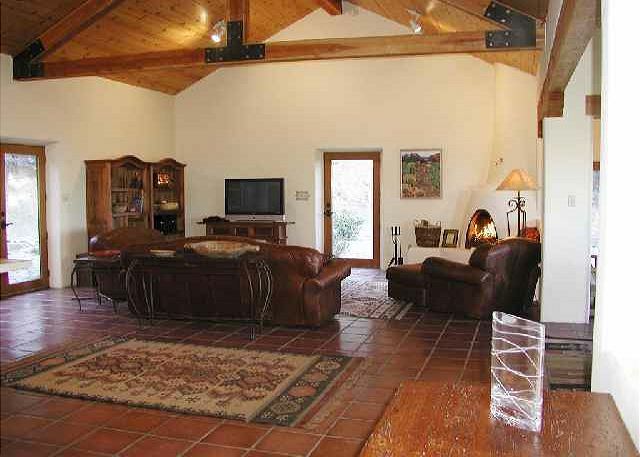 This strikingly handsome, contemporary custom home has an open floor plan that is light, bright and airy. 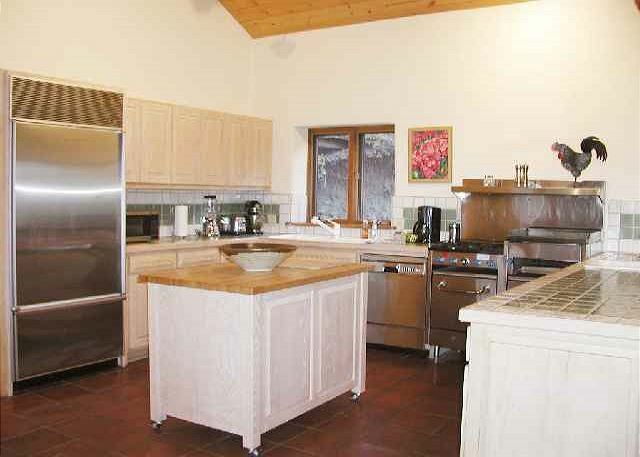 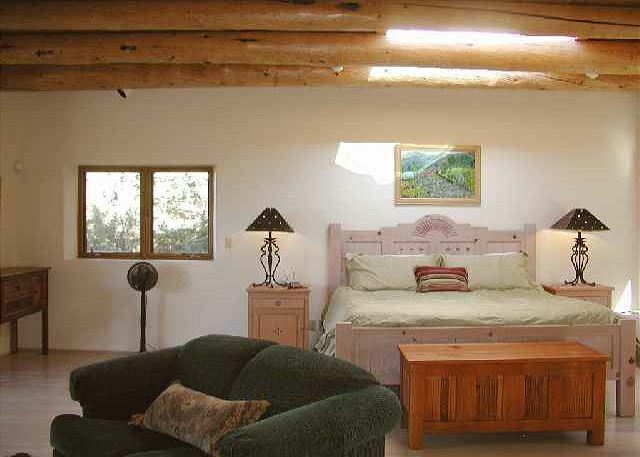 You will enjoy private 3.5 acres backing to national forest with million-dollar sweeping valley/mountain views. 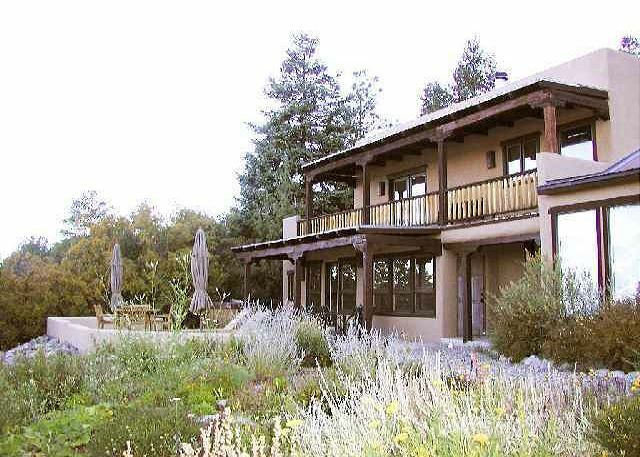 This terrific, one-of-a-kind Taos vacation rental with very private secluded setting is easily accessible to Arroyo Seco, Town and the Taos Ski Valley. 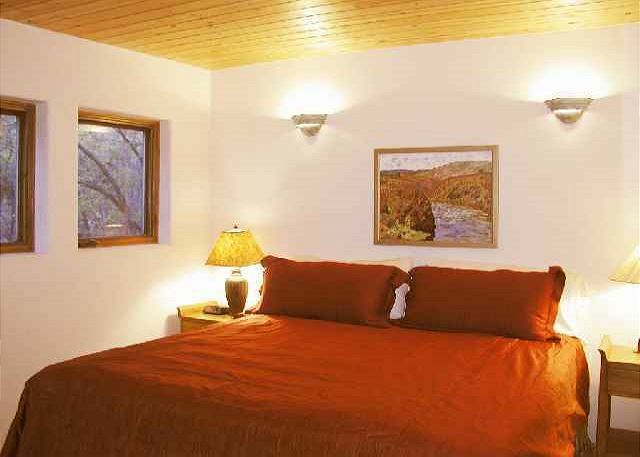 Alto Salto has an oversize master suite with luxury bath, steam shower and comfortable downstairs bedrooms that face the patio and hot tub. 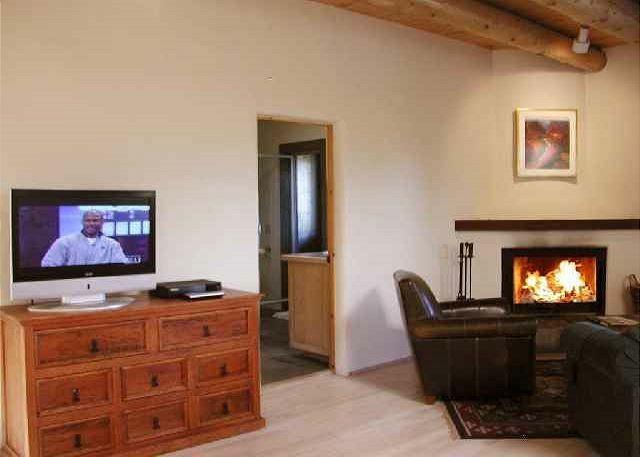 There is a large living room with Kiva Fireplace and a fun family room with entertainment center and ping-pong table and the gourmet kitchen with state of the art appliances will delight every avid cook. 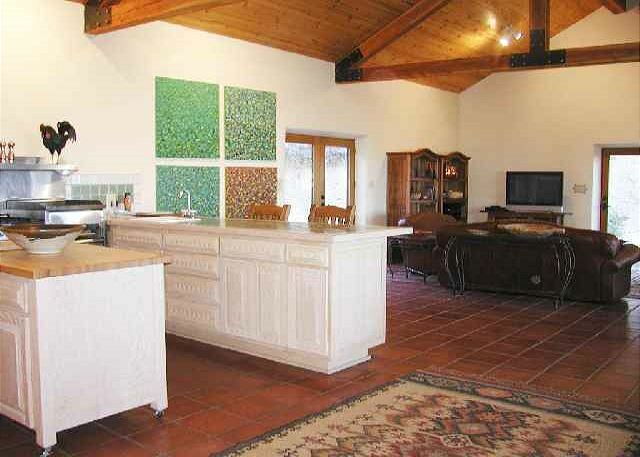 Alto Salto is a perfect home for parties or family gatherings. 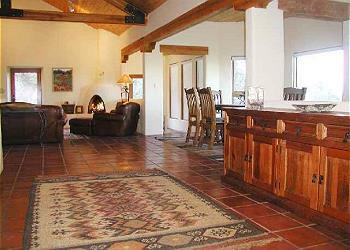 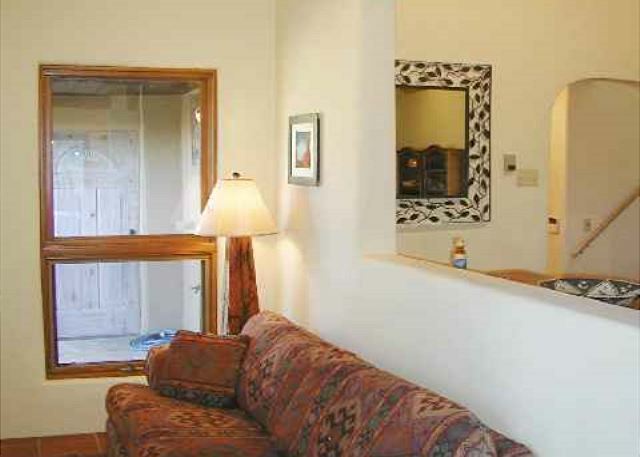 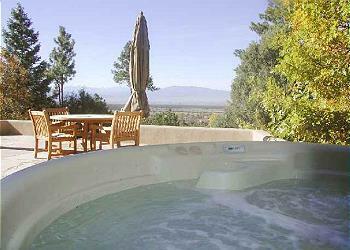 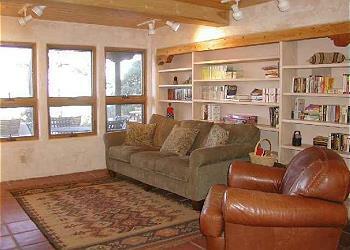 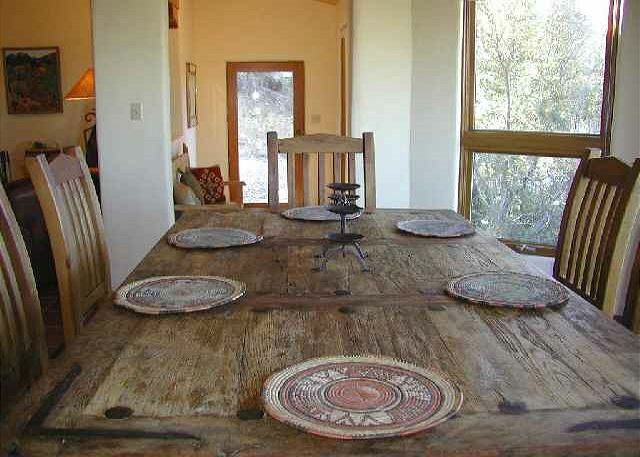 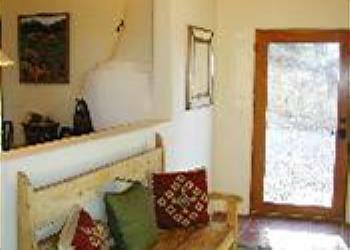 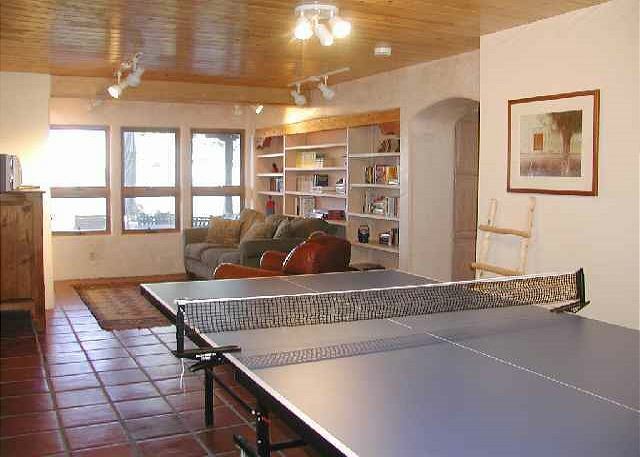 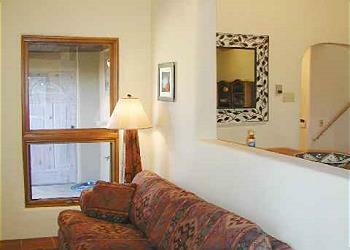 This is truly a one of a kind treasure " Taos vacation rental ". 4WD is required during the winter months!! The house is in a great spot in the foothills of the mountain. 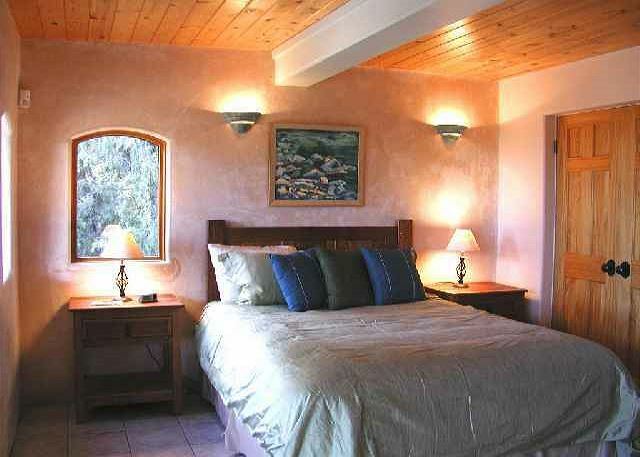 It's very quite and very beautiful. For a large family like ours it was perfect. - Peter G.
Can't wait to go back to Alto Salto! 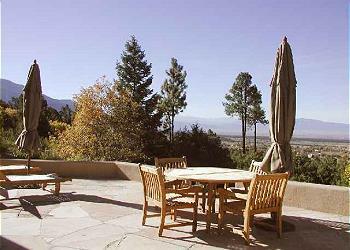 Awesome house with an amazing view of Taos valley. Good location between the town and the ski mountain. House is comfortable and great for entertaining. Glynna B. 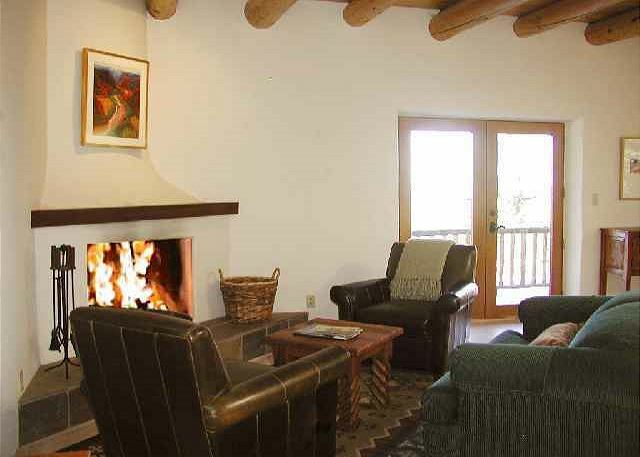 As a group of life long friends that gather once a year in a unique location to catch up on our lives and create new experiences together. 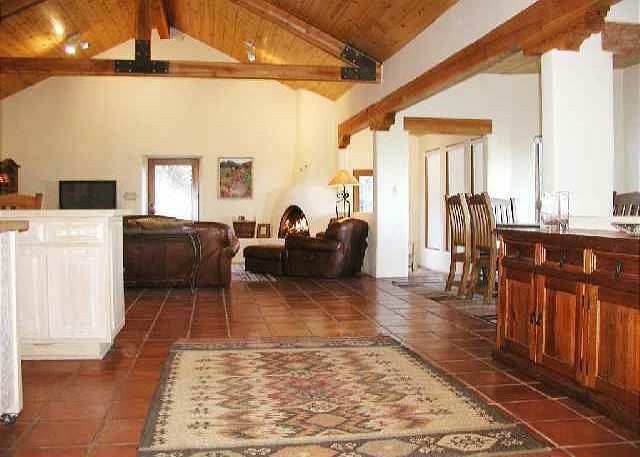 This house and location was fantastic. 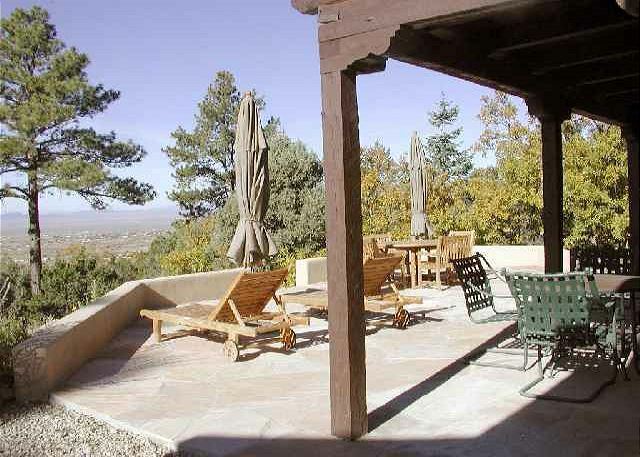 – M. M.